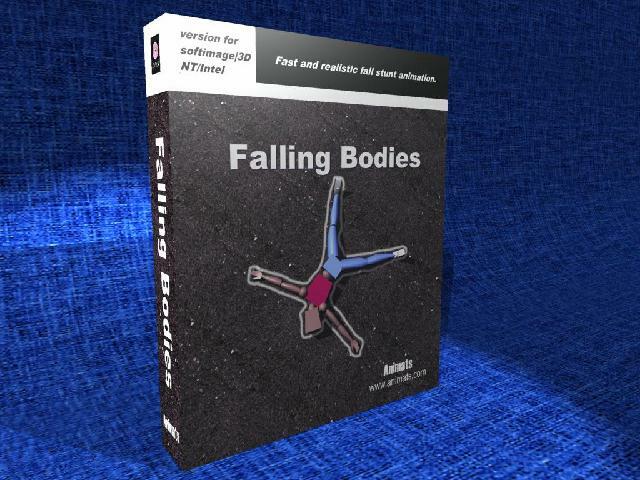 Falling Bodies, the Softimage|3D plug-in for creating your own fall stunts. Animats introduced ragdoll physics technology in 1997. The Animats Falling Bodies> product was for years the most advanced ragdoll dynamics system on the market. Our technology for high-quality ragdolls is patented. This broad patent covers most spring/damper character simulation systems. If it falls, it has joints, it looks right, and it works right, it’s usually covered by our patent. This technology has been licensed to a major distributor of game development middleware. This is the original “ragdoll falling down stairs” animation, shown at the Softimage user group meeting in 1997. This is the first ragdoll demo ever. U.S. Patent #6,067,096. This entry was posted in Friday Flashback and tagged Friday Flashback, SOFTIMAGE|3D by xsisupport. Bookmark the permalink. 33,000 hits that video has. Another way to eliminate a “walker”.